And the meaning behind gerberas? Well, this flower is thought to represent... innocence. But wait, we hear you cry, aghast before your monitors. Isn't that what freesias were said to signify already? Well spotted! Whilst there is some overlap there, gerberas are said to also be associated with cheerfulness and modesty as well. So as you can see, the character of this flower is slightly different (freesias are associated more with friendship and perseverance). 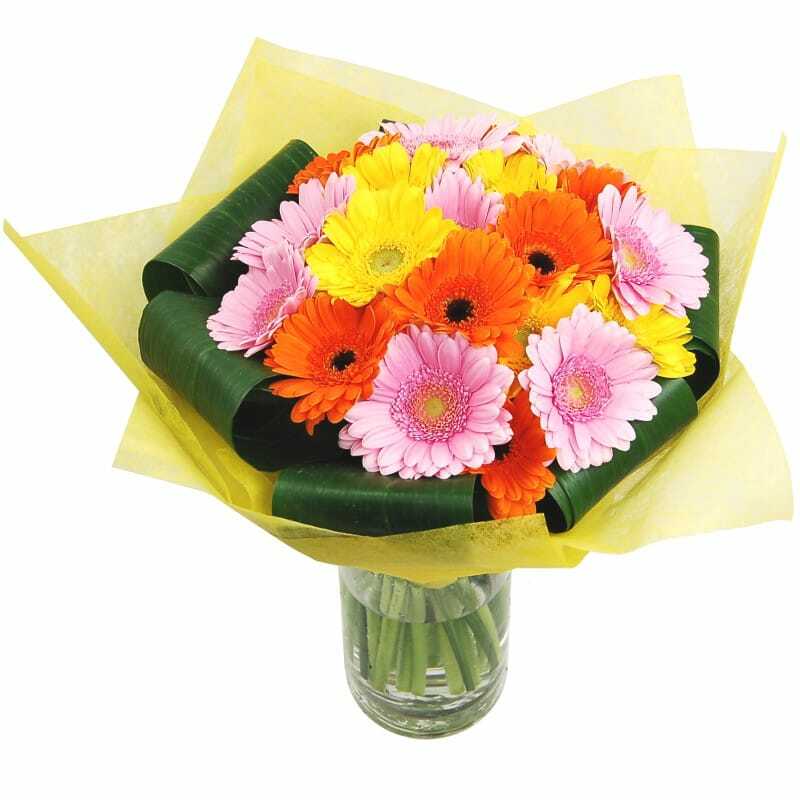 The cheerful nature of gerbera bouquets means that they lend themselves well to get well soon gifts. An arrangement of fresh gerberas is sure to bring a ray of sunshine to anyone who is feeling poorly or in need of mood improvement. Gerberas are also ideal for expressing congratulations and for welcoming the arrival of a new baby. Clare Florist provide an array of suitable bouquets, some consisting entirely of gerberas and some with the flower as a main 'ingredient' so to speak. One example is our famed Gerbera Sunshine which is filled with captivatingly colourful mixed germinis. The germini is smaller version of gerbera which means we’ve been able to fit no less than 20 of these into this bouquet! And with 32% off at the moment, this fresh and colourful flower arrangement is a real bargain.